Tamara Talbot Rice was born Elena Abelson in St. Petersburg, Russia. Her father Israel Boris Abelevich Abelson was a wealthy businessman and member of the Tsar's financial administration. Leo Tolstoy, a family friend, was her godfather. She had a privileged childhood in St. Petersburg, where she attended the elite Tagantzeva Girls' School, until the Russian Revolution of 1917 caused her family to flee the country. They settled in London and Paris. She attended Cheltenham Ladies' College and then Oxford University, where she was a member of the circle of friends that included Evelyn Waugh, Harold Acton, and David Talbot Rice, her future husband. She left Oxford without a degree and worked at various jobs, including as a film extra, journalist, and researcher. In 1927, she married Talbot Rice, an archaeologist, and spent years traveling with him to Greece, Yugoslavia, Bulgaria, Georgia, Persia, and Turkey on his excavations. She and her husband co-wrote the book The Icons of Cyprus, published in 1937. 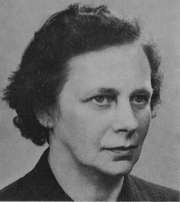 During World War II, she worked in the Ministry of Information's Turkish division. After the war, she became a distinguished scholar of Russian and Byzantine art and art historian, and wrote The Scythians (1957), The Seljuks in Asia Minor (1961), and Everyday Life in Byzantium (1967), among others. Her final book was the biography Elizabeth Petrovna, Empress of Russia (1970). After her death, her memoirs were published by her daughter Elizabeth Talbot Rice as Tamara: Memoirs of St. Petersburg, Paris, Oxford and Byzantium (1996). Tamara Talbot Rice is currently considered a "single author." If one or more works are by a distinct, homonymous authors, go ahead and split the author. Tamara Talbot Rice is composed of 9 names. You can examine and separate out names.